About - Honey Transport, Inc.
Honey Transport, Inc., family owned and operated, having been in business since 1968, takes pride in our continuous service to the food service industry. In the beginning, the majority of our business was transporting produce from Florida to New Jersey, New York, and Massachusetts, but as produce is seasonal, we had to look for other opportunities and found fruit, salad, orange juice and frozen food. As Honey Transport grew, a terminal was opened in New Jersey. With the new office up and running it was realized that there was a growing need for less-than-a-truckload (LTL) service. Soon Honey Transport was moving not only truckloads, but also specializing in frozen LTL nationwide. After a short time, paired with our own brokerage, Bestway Refrigerated Service Inc., we expanded and opened terminals in Louisiana and California, as well as satellite offices in Brownsville, TX, Kenosha, WI and Seattle, WA. Today, the family owned business with the corporate office in Plymouth, FL. 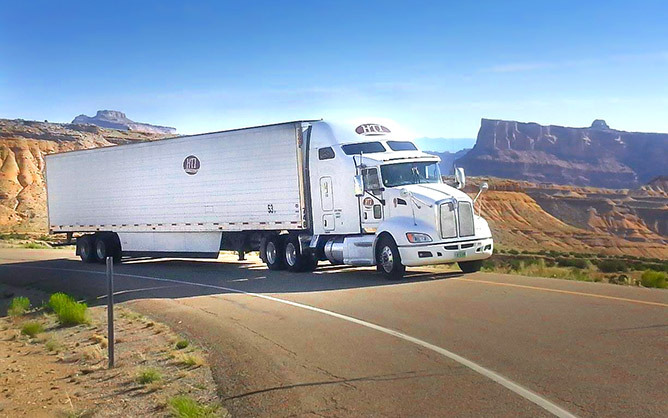 is Partnered with our own transportation brokerage, Bestway Refrigerated Service, Inc., Honey Transport is able to provide our drivers with the driving miles they desire and a speedy turnaround time, assuring that there is less time spent laying over, and more time spent on the road.